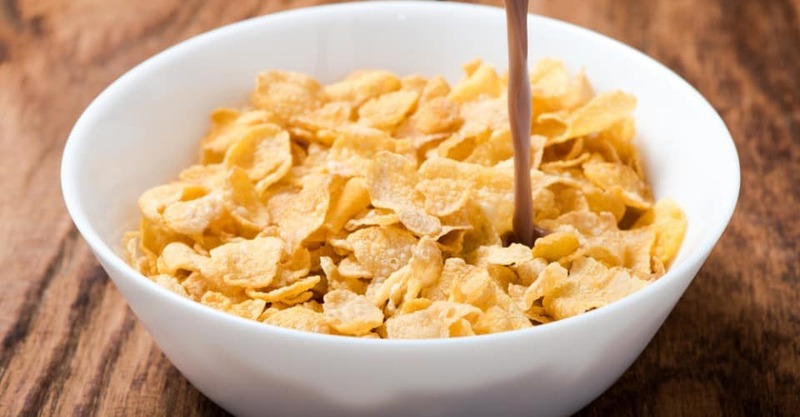 You are likely to eat more #breakfast cereal, by weight and calories, when flake size is reduced, according to Barbara Rolls, a nutrition professor at Pennsylvania State University. “The researchers tested the influence of food volume on calorie intake by systematically reducing the flake size of a breakfast cereal with a rolling pin so that the cereal was more compact and the same weight filled a smaller volume. The research showed that as flake size was reduced, subjects poured a smaller volume of cereal, but still took a significantly greater amount by weight and energy content. Despite these differences, subjects estimated that they had taken a similar number of calories of all versions of the cereal. They ate most of the cereal they took, so as flake size was reduced, breakfast energy intake increased.” The bottom line: Keep a close watch on cereals that come in smaller pieces, and keep in mind that you’re probably underestimating how much you actually eat.